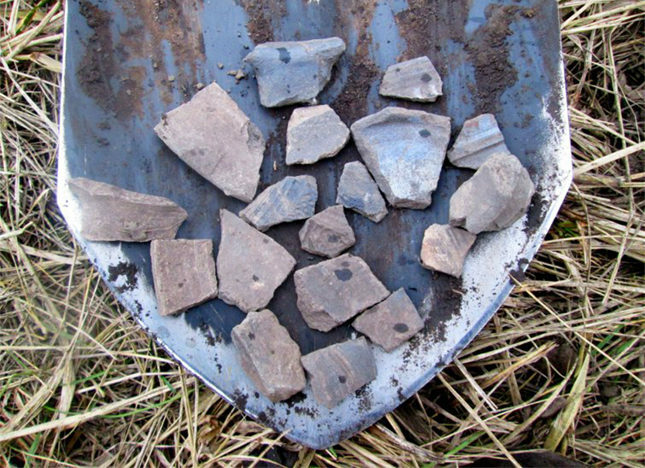 I picked up there some fragments of pottery, and nothing except for copper. 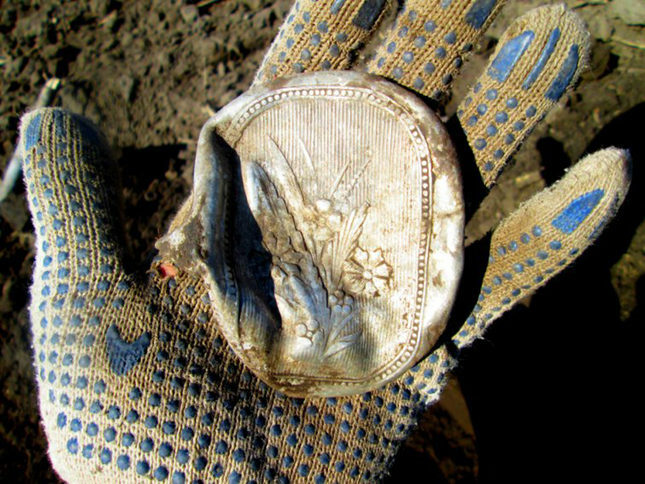 My first silver found this season! 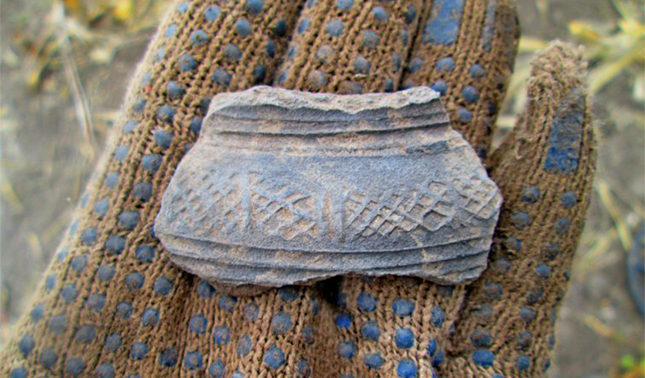 My first purse found this season. 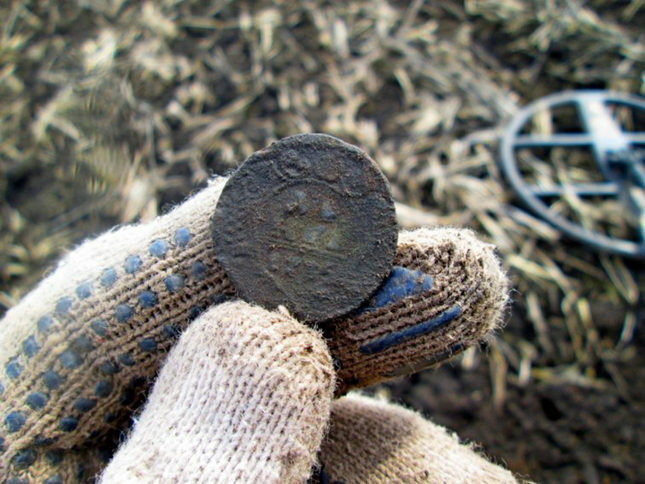 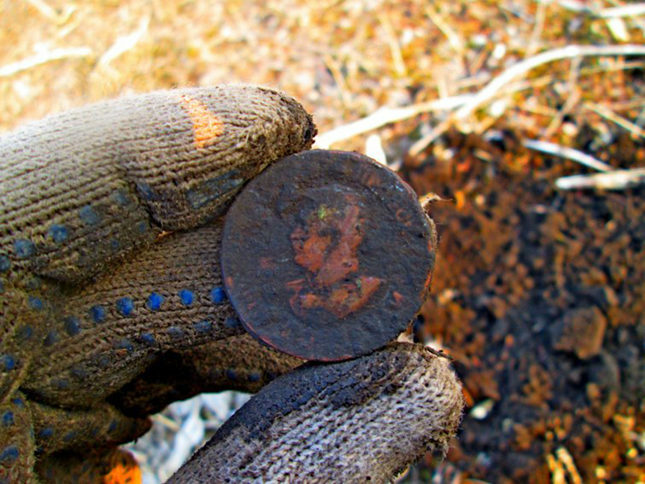 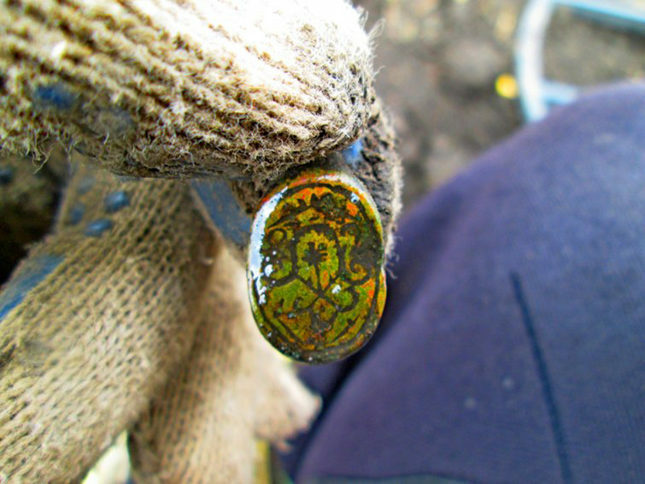 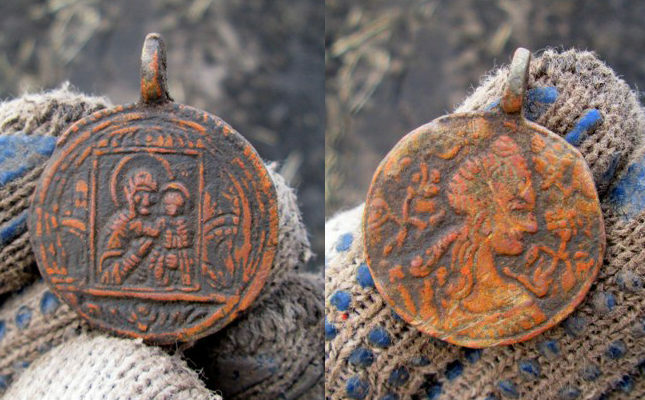 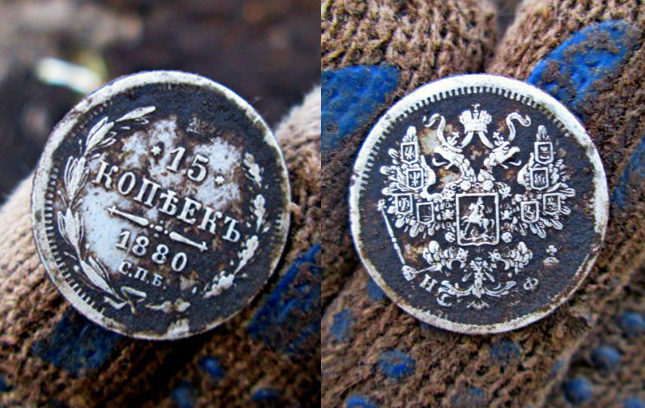 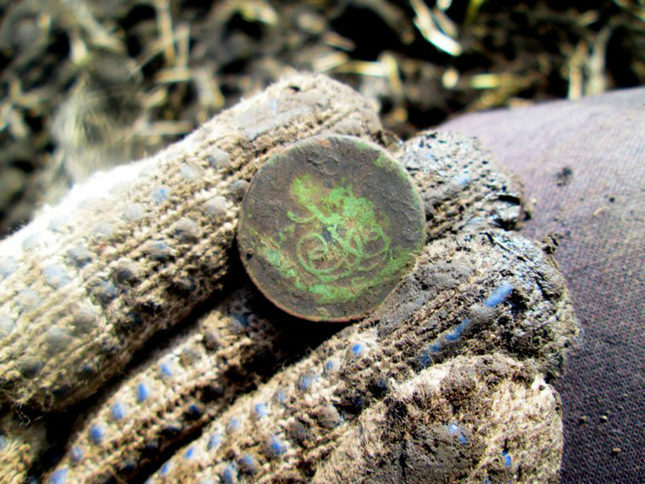 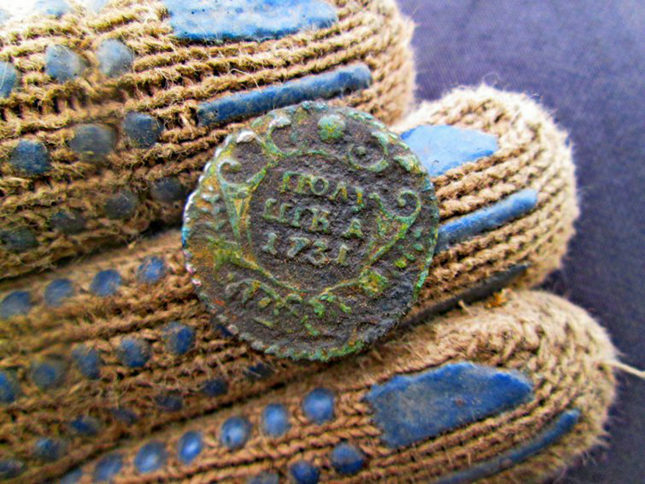 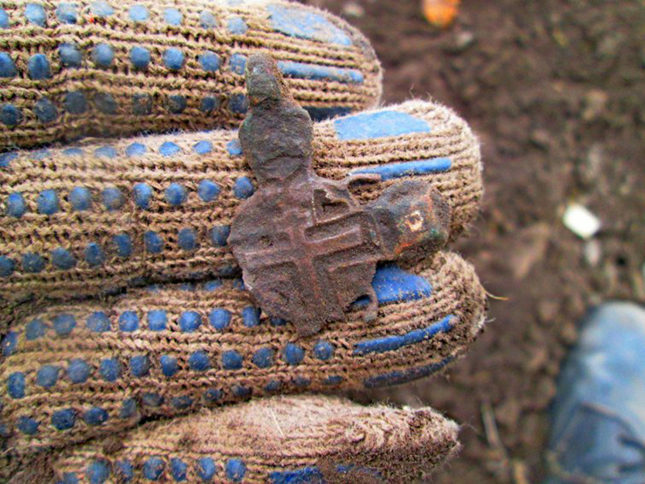 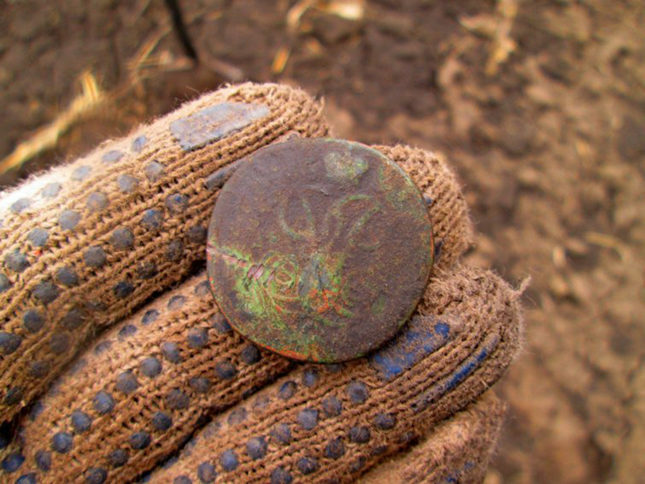 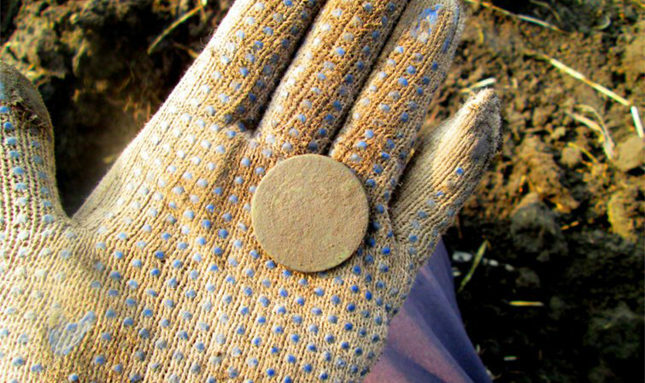 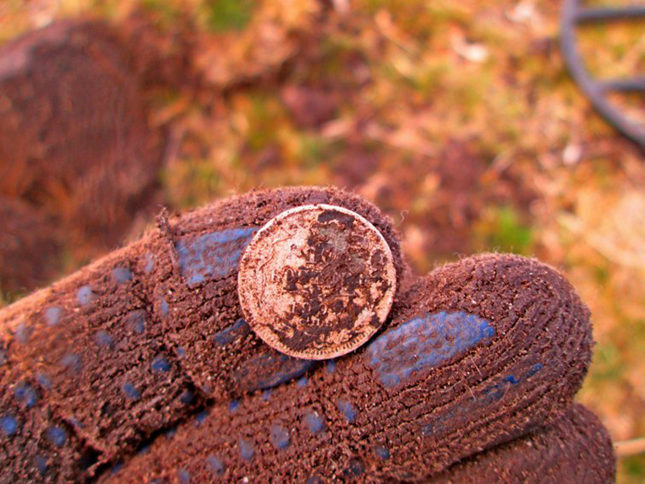 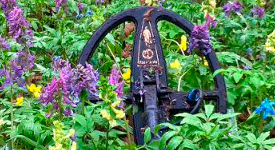 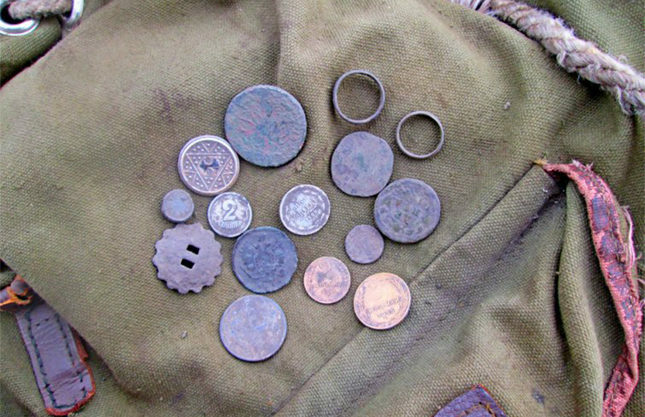 Last autumn I found a farmstead dated 1700s, I got there a few quarter-kopeck pieces and dengas. 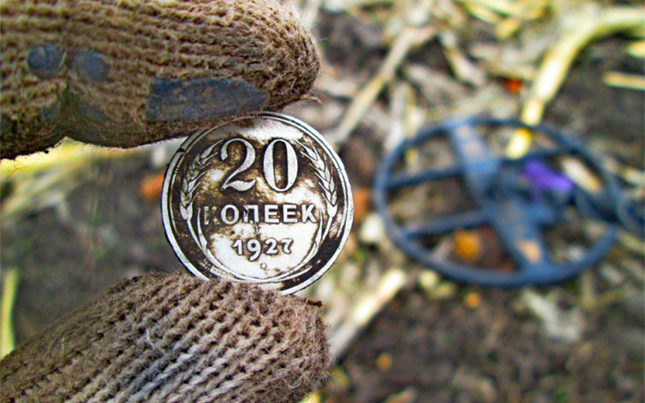 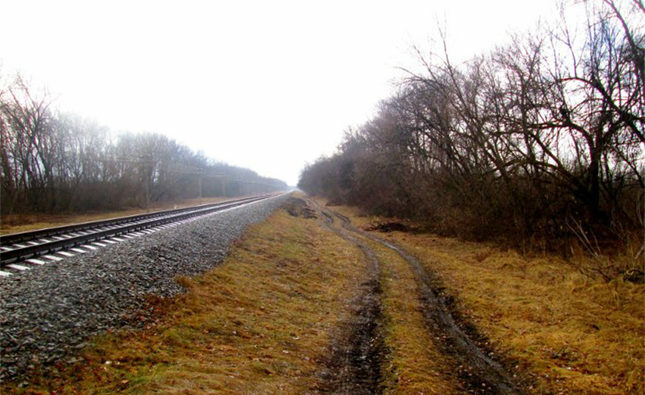 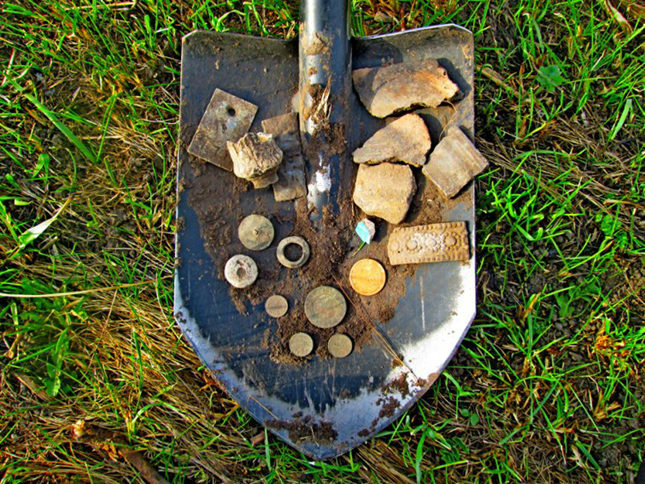 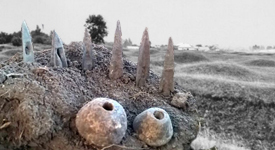 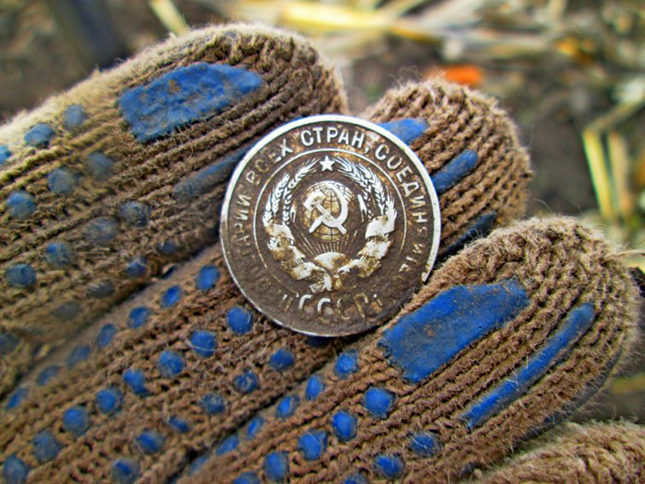 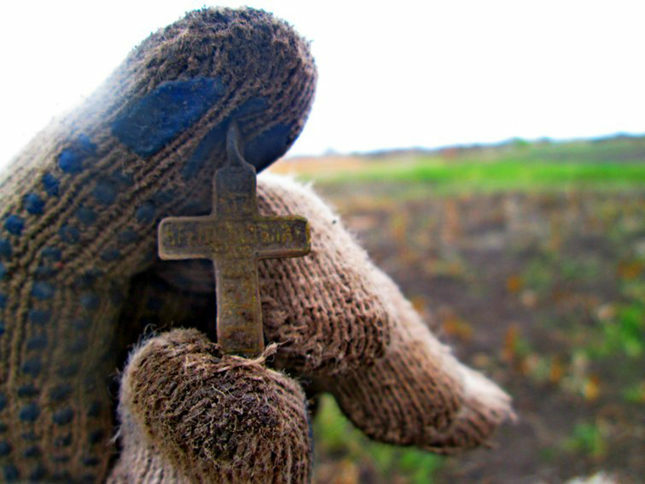 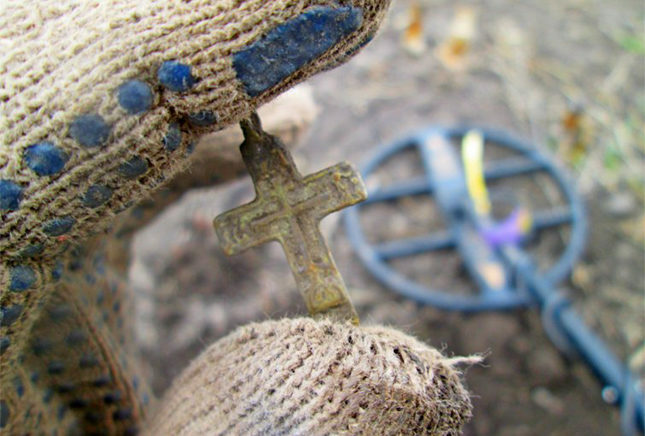 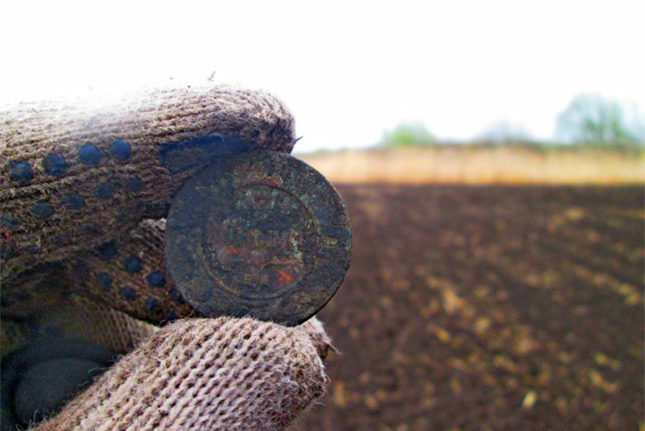 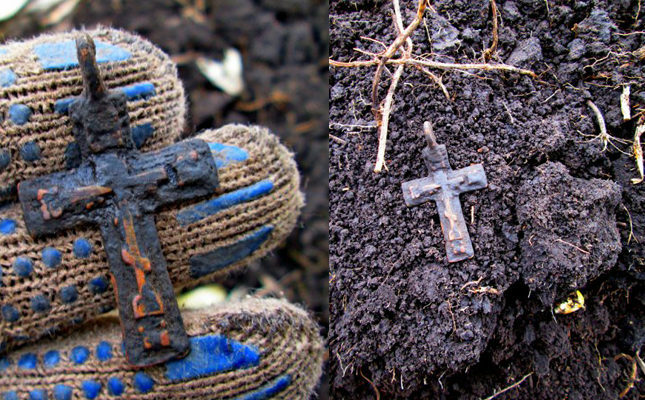 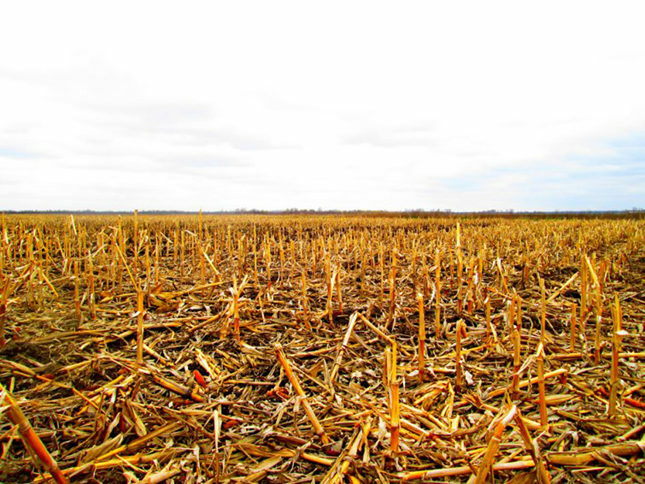 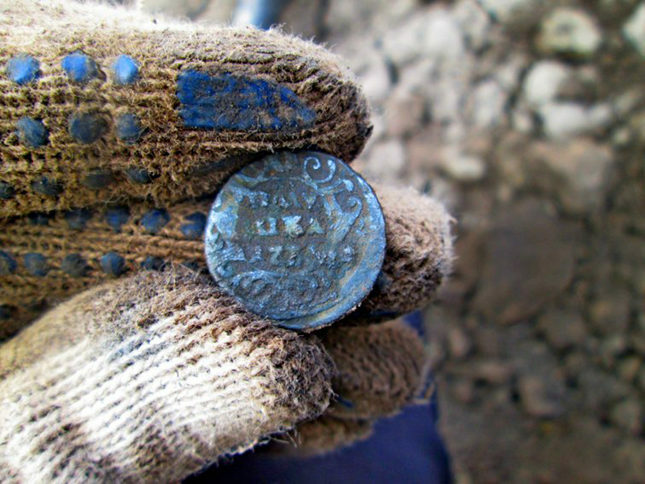 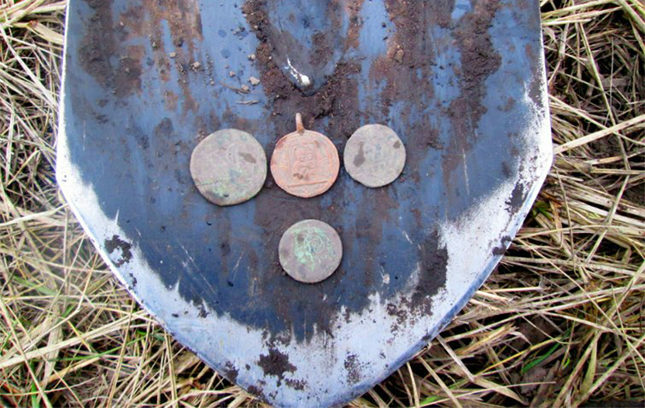 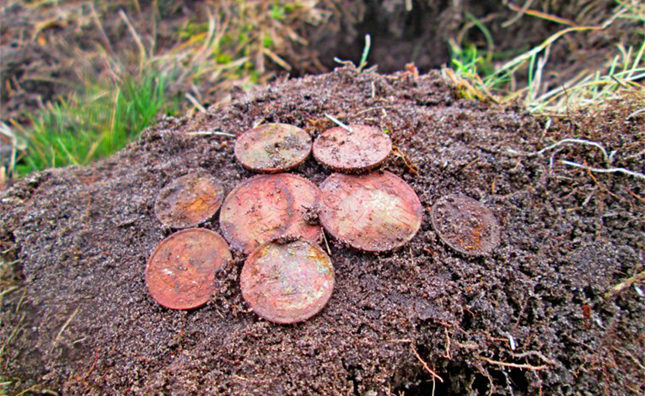 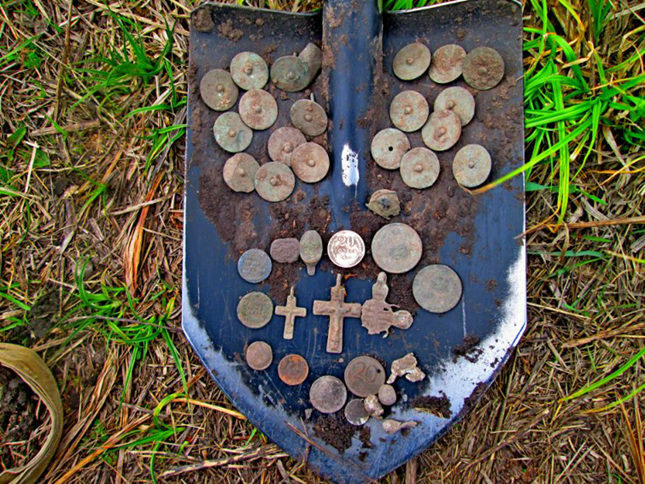 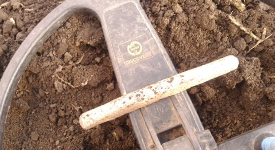 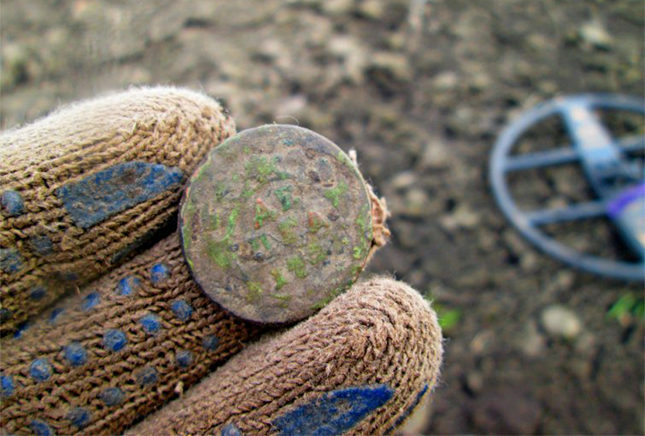 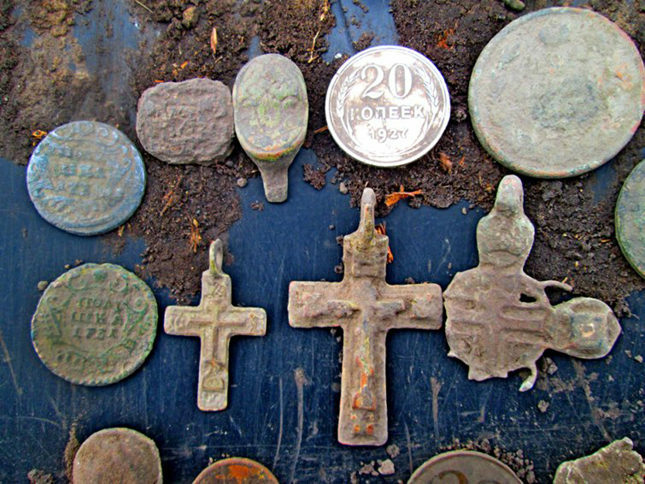 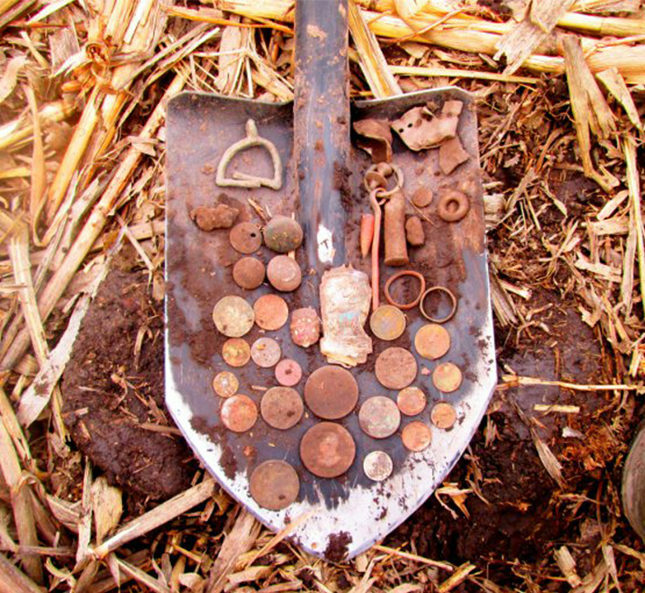 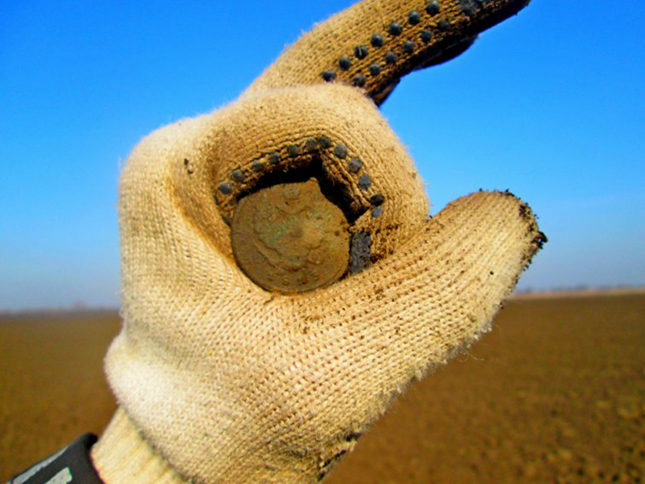 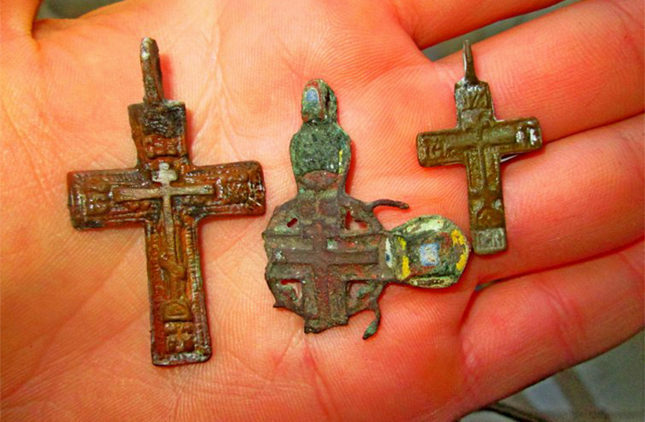 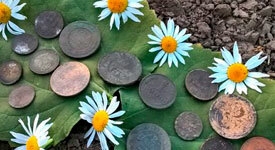 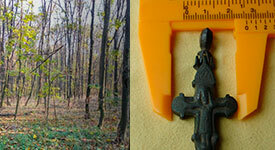 I didn’t expect to find anything there, but that harvested field gave me a few Christian crosses, rings and coins. 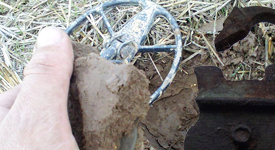 Though the stubble was tall enough, it would be interesting to come there again after they plough the field. 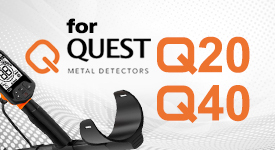 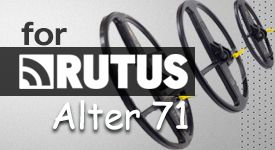 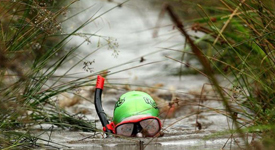 While searching the author of the report used a Mars Goliath coil.